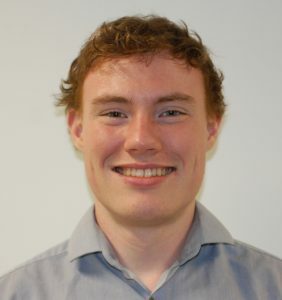 Following his PhD, Stephen worked as a research fellow in the Optoelectronics Research Centre (ORC). He received a BEng degree from the University of Southampton in 2012 in Electronic Engineering. Currently, for his research Stephen is investigating planar Bragg-grating stabilised lasers and locking them to stable external resonators using novel feedback control techniques. In future research, Stephen will look into the improved efficiency of second harmonic generation in periodically-poled lithium-niobate using control theory. In his spare time Stephen enjoys good coffee and fine wines (he’s a bit of a snob! ), and likes to keep active doing regular runs and cycles.